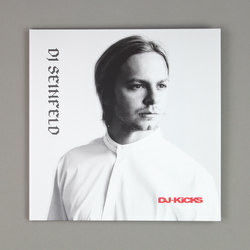 DJ Seinfeld - DJ-Kicks. Vinyl LP, CD. Bleep. 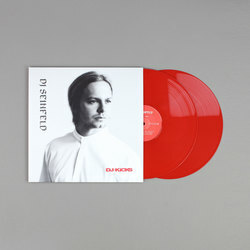 With only a handful of 12"s and a killer triple LP to his name, DJ Seinfeld takes the reins of !K7's established DJ-Kicks compilation series, showcasing why he has caused such a stir both on record and on the decks in recent years. 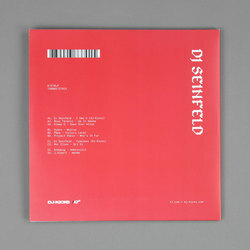 While the digital and CD editions host the latest selections of certified Seinfeld bangers, the double pack wax collects what he sees as the very best cuts and handily packages them into a double 12" helping that if purchased alone could break the bank. As well as exclusives from DJ Seinfeld himself, fellow low-fi 'n' electro house travellers Roza Terenzi, Sleep D, Project Pablo, J.Albert & Mor Elian are all pulled from a selection that closes the musical gaps between their collective discographies on labels as wide-ranging as Magic Wire, Trilogy Tapes, Technicolour and Butter Sessions. While the Seinfeld sound has often worn its heart on its sleeve, the slinky grooves here are toughened up to a refreshing level. Showing how deep his big room ambitions go. The melancholic yet driving force heard in his records for Lobster Fury and Natural Sciences is ever present, yet each drum pattern and synth shard here taps into the new school house sound of which DJ Seinfeld is ever pushing forward. 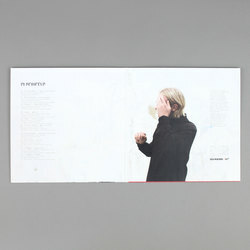 This compilation is not only a testament to his characterful DJ skills but also a complete artistic statement that showcases his unique vision of dance music.